Small is beautiful when it comes to pets in Japan for two important reasons. The first is practicality, Japan is a small island with a large population. With small apartments, most are not suited to large dogs. Secondly, the predominant religion is Buddhism. They are heavily influenced by minimalism. The Japanese' love of all things canine is nothing new, but until recently dogs were kept for utilitarian purposes. However, over the last 25 years, there has been a huge pet boom in Japan, with the birth-rate falling dramatically, many Japanese couples are substituting children with dogs and treating them like babies. Trending is a need among Japanese dog owners to find small dogs that stay small. Popular breeds include chihuahuas, miniature dachshunds, and toy poodles and there is a growing number of teacup breeds. 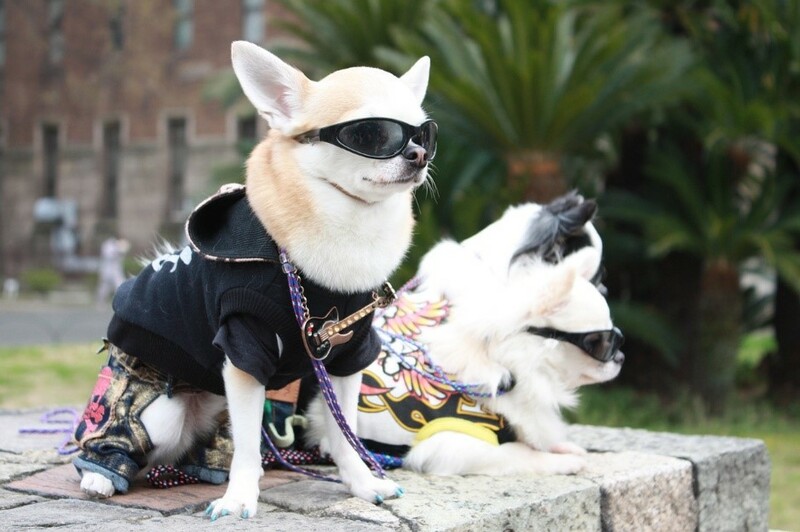 These little dogs in the land of the rising sun are some of the most pampered pets in the world. Japan boasts one of the world’s most revolutionary pet industries, with countless dog-related products and services including dog cafe's, fashion shows, innovative gadgets and completely crazy grooming trends. 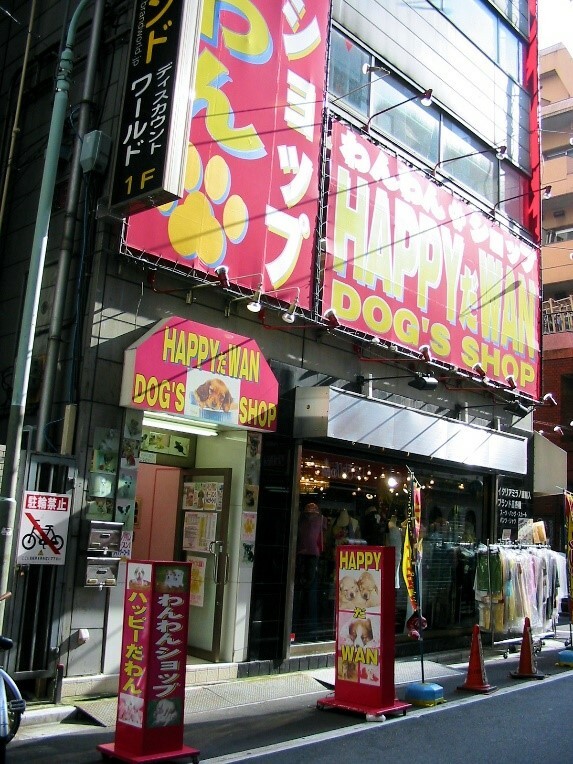 In fact, there is a whole shopping mall devoted to dogs in Tokyo which really does give you paws for thought. 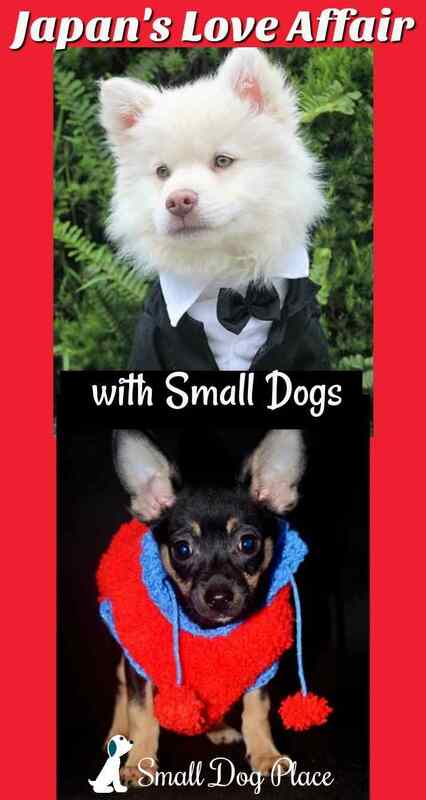 There are so many ways to dress small dogs that stay small. When the Japanese embrace a craze or fad they do so wholeheartedly. Doggy fashion has become big business with some outfits costing as much if not more than human clothes. Fashion stores specifically for dogs offer thousands of items of dog clothes including hoodies, pajamas, sweaters, dresses and Halloween costumes and many Japanese dog owners think nothing of splashing the cash on designer togs for their precious pooches. Hermes, Gucci, Prada, Tiffany and Louis Vuitton all sell expensive dog products. It is also possible to purchase tailored kimonos for your pup which proudly display the family crest for special occasions. Beyond designer clothes, there are so many ways to spurge on dogs and the Japanese have discovered each area. Japan's love affair with small dogs that stay small ventures into the home arena. There is also no expense spared for Japan's population of tiny canines. When it comes to home comforts, products that fit in perfectly with the Japanese love of minimalism are de rigueur. Architects and interior designers are adding stylish pet-friendly homes and cutting-edge products to their portfolios. Cubic bowls, zen play areas, and indoor potties are all essentials for these up-market pooches. The market for premium dog food in Japan has seen a significant rise in the last few years, gone are the days of tossing your pooch the odd bone and scraps. Nowadays Japanese dog owners want their beloved pets to eat as well as they do and this isn't just confined to in the home. There are exclusive restaurants and cafes where dogs can sit at the table and eat alongside their owners. Department stores sell handmade dog food, celebration cakes for dogs, and even bento boxes for dogs on the go. The Three Dog Bakery which has outlets throughout the world is an artisan bakery that prepares natural organic biscuits, treats, and gifts. There are even dog food cooking classes for those wanting to prepare home cooked meals for their canine companions. It comes as no surprise that the Japanese love of dogs has been combined with their love of gadgets. For their small dogs that stay small, there is doggie high tech for everyone. Dog owners can also buy a plethora of devices that measure "emotional levels” harnesses that change color depending on the dog's mood, and special magnetized collars that are supposed to increase the circulation and reduce stress. Dog communication systems are all the rage with owners calling their pets while at work and monitoring their behavior on the go. There is even a product called Bowlingual which supposedly translates dog barks into human language. Retailing at around $120, more than 150,000 were purchased by the dog-daft Japanese in the first year. GPS tracking devices for dogs, treadmills attached to human exercise bikes, the list is endless and shows the lengths dog owners in Japan will go to when it comes to caring for their pets. The Japanese take dog-related businesses to another level along with the standard doggy daycare and grooming parlors there are luxury hotels, special swimming pools, and spas, especially for dogs. The Athletic Dog Club in Tokyo charges a membership fee of $20,000, and for this, pooches can take part in weight loss programs and etiquette classes. Spa resorts offer special baths, body massages, mud treatments and acupuncture. The Japanese spare no expense when it comes to their small dogs that stay small. Beauty Salons don't just clip your dog they offer manicures, expensive haircuts, dyeing and perfumes and while your four-legged friend is enjoying some pampering why not let them sip on some non-alcoholic doggy champagne. Japan also boasts numerous dog hotels owners can take a trip, safe in the knowledge their dog is being cared for and relaxing in 5-star luxury. Owners of elderly dogs in Japan often spend 100's of dollars each month on medical bills and treatment for their pets. There is a huge market for diapers, hot springs, yes really! special foods, and even wheelchairs especially for pets. Pet owners can choose between Oriental medicine or Western treatments when they visit the vet, and some clinics offer acupuncture as an alternative treatment. When it comes to saying goodbye owners are just as extravagant and can spend up anything from $7,000 upwards for an exclusive funeral or cremation ceremony. There are numerous places in Japan which rent-out dogs, young men especially find having a dog at their side can break the ice when getting to know girls and some shops have cashed in by renting out pooches for the day it costs around $50 a day for a poodle. Other places rent out dogs by the hour, and customers include the elderly who miss the companionship of their pet, couples, and families who live in apartments that don't allow animals and young single professionals just looking for companionship. The Japanese are a shy race, and many friendships are formed at the dog park purely due to the dogs, especially small dogs that stay small. In the west, we have often experimented with crossbreeding and designer dog breeds such as the Cavapoo, and various teacup breeds but the Japanese have thrown caution to the wind which has unfortunately resulted in many disfigured and deformed puppies. 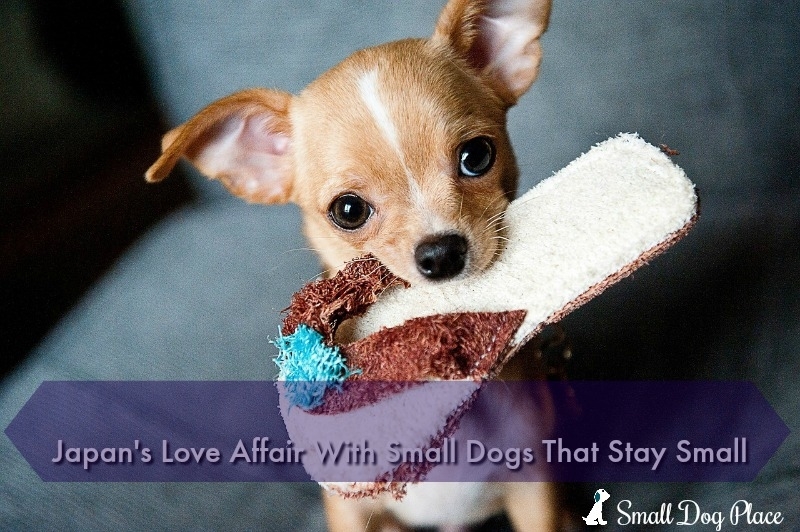 Rare and tiny dogs can fetch a fortune, and where there are sums of up to $20,000 per pup, there are unscrupulous breeders, tiny blue Chihuahuas, white Dachshunds, and Poodles tiny enough to fit in a small purse command huge sums of money. The licenses for breeders who sell dogs with birth defects can be revoked but the industry is largely unregulated, and inbreeding is common. One area that has been slow to take off in Japan is training as these pampered pooches have been allowed to do what they like. However, Japanese dog-owners are starting to become worried about the poor manners and behavior of their pets. Tokyo's local government provides dog-owners with manuals and information on local dog-training classes, along with providing free poop bags to ensure the city stays clean. Some even have dedicated staff who can talk to owners of unruly pets and offer tips on how to improve unacceptable behavior such as incessant barking, snapping at small children and scavenging for scraps. As pet owners realize a well-trained dog is a happy dog an increase in dog training and psychotherapy is forecast. A long-haired Chihuahua named Momo made history in 2011 when she became the smallest police dog in the world Momo passed the test, which was open to 70 dogs, to be a part time search and rescue dog in Nara Prefecture. 136 dogs and their owners took part in a record breaking dog yoga event in Toshimaen park Tokyo in 2016. During the second world war, Hachiko's story was mandatory reading in primary schools. The word Osuwari means "sit." Husband, father, and avid dog lover. Currently the proud owner of George a pedigree Golden Retriever that barely leaves my side. However, cute this sounds a little break from the dog hairs now and then would be nice!